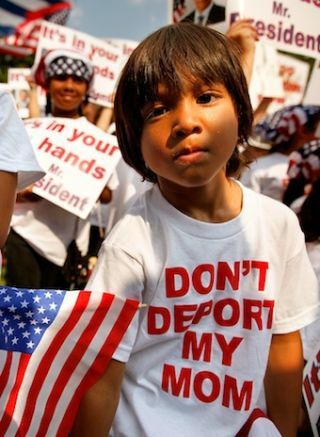 Don’t mess with the 14th Amendment provision in the U.S. Constitution that grants citizenship to anyone born in the United States of America. U.S. Sen. Joe Manchin, a West Virginia Democrat, says that the status of the amendment is worth “looking at,” but adds that Donald J. Trump is mistaken if he thinks he can get rid of it through an executive order. 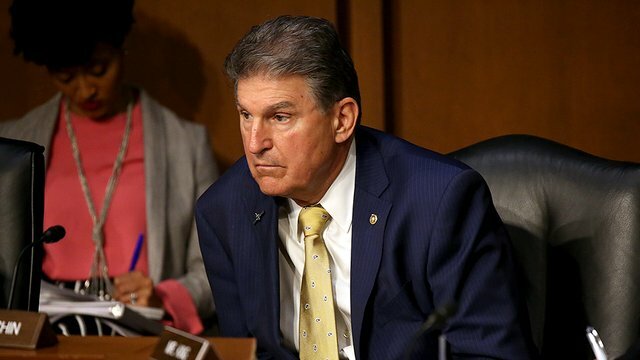 Manchin, who is fighting for re-election in a state that Trump won in 2016 by a lot of vote, often is the rare Senate Democrat who sides with the Republican president. His view that birthright citizenship is worth examining doesn’t suggest he wants to get rid of it, but that it’s worth a closer look than many of us have given it. Trump raised millions of eyebrows across the nation by declaring his desire to issue an executive order to rescind part of a constitutional amendment. He cannot do it through executive action. 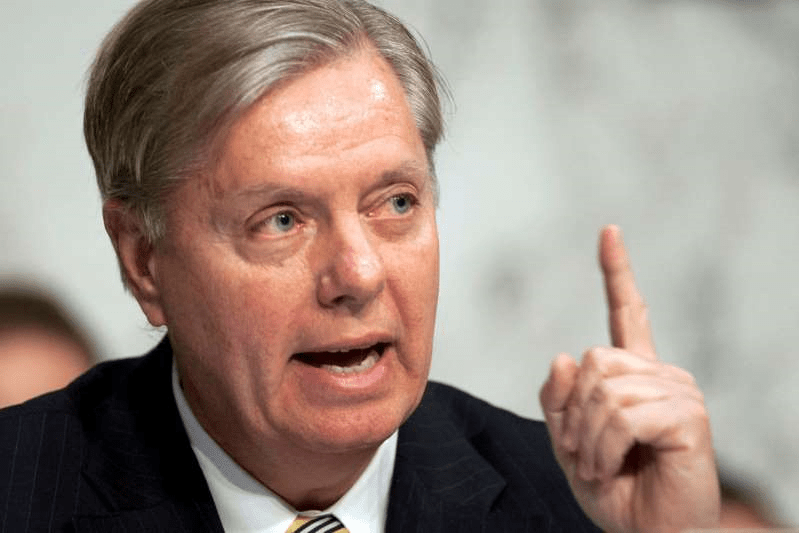 His new BFF in the Senate, Republican Lindsey Graham of South Carolina, said he plans to introduce legislation to deal with the birthright citizenship matter. The president’s tactic is a ploy aimed at pleasing and firing up his political base. That’s the name of that game. The amendment has been on the books for 150 years. It became an issue only because Donald Trump decided to make it one. As for whether it deserves a closer examination, sure thing. Do it. Take whatever time you need to look at it. My own preference is that Congress should leave it alone. I cannot let go of this “birthright citizenship” matter that Donald J. Trump has thrust to the top of our minds’ awareness. He said he wants to issue an executive order to rescind a portion of the 14th Amendment to the U.S. Constitution, the part that says anyone born in the United States becomes a citizen of this country simply by virtue of his or her birth. Trump had the gall to declare that the United States is “the only country” on Earth that allows such a thing. The president lied. Again. Imagine my (non)surprise. It’s shocking, I tell ya … simply shocking that the president would lie. The truth is that 30 other countries allow birthright citizenship. Canada is one of them. Mexico is another of them. Those three nations, with a combined population of about 500 million residents, have such laws on the books. Ours is written in the Constitution. It was ratified in 1868. It has been on the books for 150 years. Birthright citizenship has never been a serious issue — until now. Why? Because Donald Trump has made it one. He is sowing the seeds of division and fear. He is appealing to the bigots among us to believe that birthright citizenship is now something to rescind and he’s going to do it by issuing an executive order, by golly! No. He isn’t. He cannot do it. Nor can he continue to lie about it, by repeating the lie that the United States is Earth’s sole country that has such a law. The liar in chief is continuing to serve in the most disgraceful manner possible. 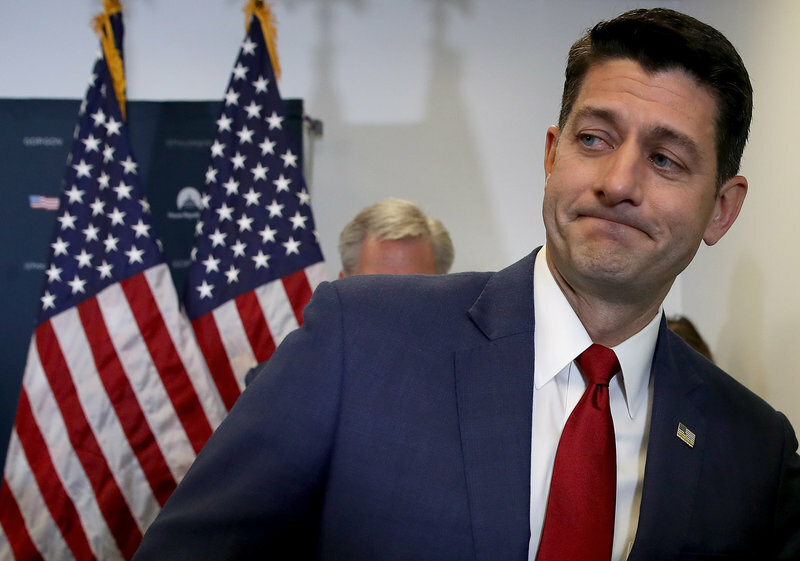 U.S. House Speaker Paul Ryan’s time in public office is running out, which I guess means he’s able — and willing — now to push back on the president of the United States, a member of his political party. 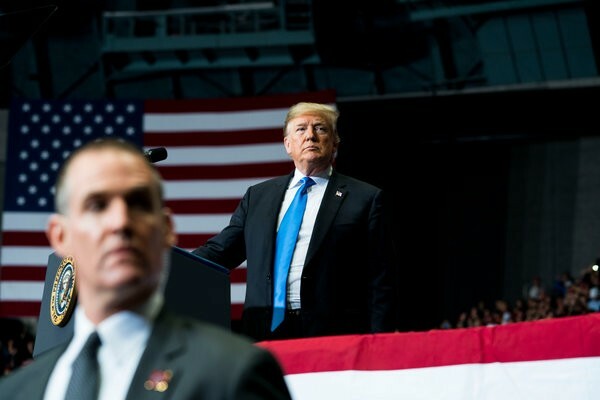 Donald Trump has said he wants to issue an executive order to rescind “birthright citizenship,” a provision granted by the 14th Amendment to the U.S. Constitution. Ryan, who is not running for re-election to his Wisconsin House seat, says his fellow Republican can’t do that. There you have it. A key congressional Republican leader has spoken out clearly against a Republican who’s hijacked the party under which he ran for public office. The president has plenty of executive authority. Trump was generous in his criticism of President Obama over his use of the authority. Changing the Constitution, though, doesn’t fit into the purview of a president affixing his signature to an executive order. Mr. President, stop this nonsense. “It was always told to me that you needed a constitutional amendment. Guess what? You don’t,” Trump said in an interview with Axios. Yes, you most certainly do! U.S. Sen. Lindsey Graham is trying to cover Donald Trump’s backside with a plan to introduce legislation in the Senate to reverse a constitutional amendment that provides U.S. citizenship to anyone born inside the United States of America. Trump declared his desire to issue an executive order that would end the right of instant citizenship to anyone born here. The big problem facing the nutty idea is that the rule comes to us in the form of the 14th Amendment to the U.S. Constitution, which was proposed in 1866 and ratified in 1868. In order to amend the Constitution, this legislation needs a two-thirds vote in both chambers of Congress and must be ratified by three-quarters of the 50 states. It is a steep hill to be sure. It’s also a ridiculous and gratuitous attack on a U.S. tradition that has been part of the law of the land for 150 years. Donald Trump has sought to demonize all illegal immigrants, even those who were brought here as children by their parents — and now those who were born here to parents who came this country illegally. He suggests that all illegal immigrants come here to do harm, to commit crimes, to perform terrible acts of violence. This is the answer? This is the solution? Good grief, if we’re going to get tougher on illegal immigration, then let’s use existing laws and modernize security policies. We don’t need to build a wall along our southern border. Nor do we need to repeal the clause contained in an existing amendment to the U.S. Constitution. 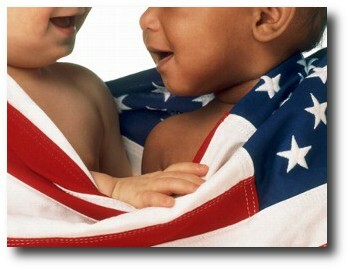 Let’s get some conversation started on this birthright citizenship business. A number of Republican Party presidential candidates want to do away with the constitutional provision that grants citizenship to anyone born in the United States of America. “Ending ‘birthright citizenship’ used to be an idea embraced by far-right whackos. But since Trump trumpeted it, Bobby Jindal, Lindsey Graham, Scott Walker, Rand Paul and others have joined him. Even Chris Christie now says the current policy needs to be ‘re-examined.’ And Jeb said today he doesn’t find the term ‘anchor babies’ offensive in the slightest. “Can we get a grip? The right of anyone born in the United States to be an American citizen lies at the core of the post-Civil War concept of citizenship. It underlies the entire framework of rights and governance built around citizenship — including the 14th Amendment. It undergirds our entire history of immigration. And it prevents America from having permanent underclass of non-citizens spanning generations, as some other countries do. “For Trump and other Republicans to make this proposal a centerpiece of their campaigns is not just to scapegoat immigrants for the economic anxieties of the middle class but to scapegoat innocent children as well. It is shameful. I think it’s the “innocent children” aspect of this effort that offends me the most. It’s clear, yes? Everyone born in this country is a citizen of this country. Why, then, do some Republicans — maybe most of them — want to amend the Constitution to single out those who have the misfortune of being born to individuals who are here illegally? GOP presidential frontrunner Donald Trump wants to end the “birthright citizenship” clause of the 14th Amendment. He’s led the amen chorus on that one. Wisconsin Gov. Scott Walker has joined him. But as Eric Greider of Texas Monthly points out, some Republican presidential candidates are standing for the Constitution. Former Texas Gov. Rick Perry is one of them; so is U.S. Sen. Marco Rubio of Florida; same for former Florida Gov. Jeb Bush. What do these men have in common? They all have been elected in states with substantial Latino populations, which of course is the audience being targeted by those who want to repeal birthright citizenship. If we get rid of this citizenship provision, we will have to amend the Constitution. Don’t conservatives generally stand foursquare behind the nation’s governing document?